Nobody knows what kids love to read better than – you guessed it – teachers! 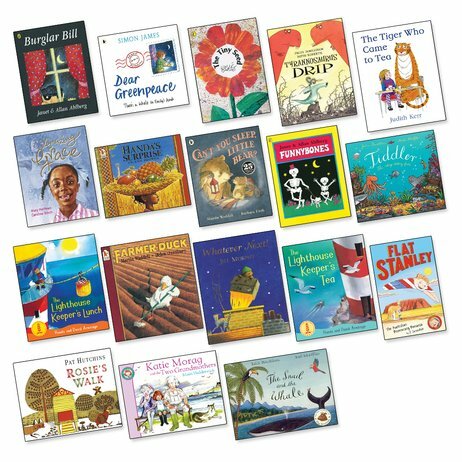 If you want to choose the perfect books for little ones, teachers are the people to ask. So that’s exactly what we did when we wanted to make the ultimate book packs for children. And here are the books all those lovely teachers voted for! A fantastic pack of the UK’s top picks for ages 5-7, taken from the overall list of 100 unmissable stories. Perfect for classrooms, libraries and family bookshelves. Heaps of best-loved stories. Countless smiles.